The Cranston Public Schools Library Department is happy to offer the following FREE e-book collections. Click the icons to go to the sites. The Tumblebook library includes picture books, chapter books, early readers, and nonfiction. Many of the books include narration, and the picture books are animated . Storyline Online has different stories, both read and animated. Best of all - it's FREE! Click the picture to hear some great books! 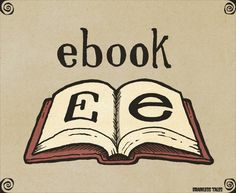 You can access hundreds of e-books via the public library; you just need your library card number. To read books on your mobile device, you need to download the free Overdrive app. Don't forget to check out the audiobook collection as well - great for family road trips. World Book Online offers nonfiction e-books presented as page layouts. You do have to be on a Rhode Island IP address and go in via AskRI.org to access them. To read them on a mobile device, you need to download the free World Book eBook app. Thank you to Ms. Moore from Garden City for creating this page!